MSc in Computer Engineering at the Technion. PhD in Computer Engineering at the Technion. His curriculum included interdisciplinary studies and advanced courses without the preliminary ones. 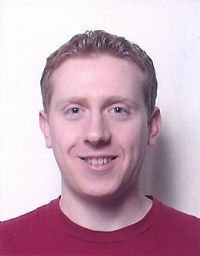 Elad did research with Nathan Keller, also from the Program, that led to breaking the encryption code of the international cellular telephone system GSM. The team headed by Prof. Eli Biham from the Department of Computer Sciences. Today (2012): Elad is currently acting as a CTO of a company he founded (a start-up) company. Recommendation to Program participants: “Behave like customers in a huge supermarket, where you can fill your cart with products that are offered to you free of charge. Enjoy this experience and exploit the opportunity to probe and question how and where you can do research”.